Do we take enabling technology lightly? In today's world, processors, chips don't have the cache they once did. 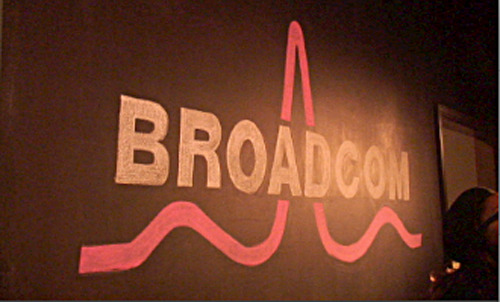 Now, Broadcom is changing the game with connectivity enabling chips from everything from car to wearable technology. We were proud to stalk Broadcom's GeekPeek13 event held at Tank18 in San Francisco. Catch reports from Liberty and SocialGreg on some of the applications demonstrated by Broadcom and its partners below. "30B Wirelessly Connected Devices by 2020"
"$6B in Wearable Device Revenues Expected by 2018"
"70M Wearable Smart Devices to Be Sold by 2017"
"100% of Cars Will Be Connected by 2025"
"75% of the Cars Will Be Autonomous by 2035"
"10M Homes Will be Reached by UltraHD (4k) by 2016"